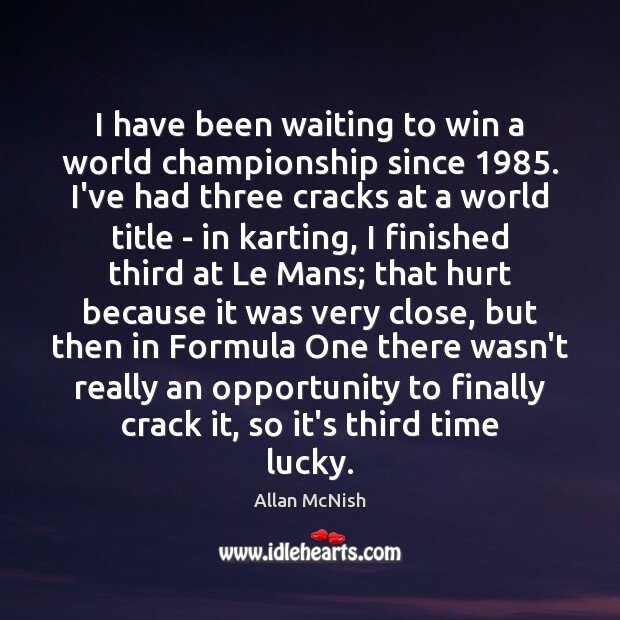 Enjoy the best inspirational, motivational, positive, funny and famous quotes by Allan McNish. Use words and picture quotations to push forward and inspire you keep going in life! I clipped a Ferrari, hit the gravel trap at a fair old speed, which lifted the car up into the barrier, and then rolled a few times. 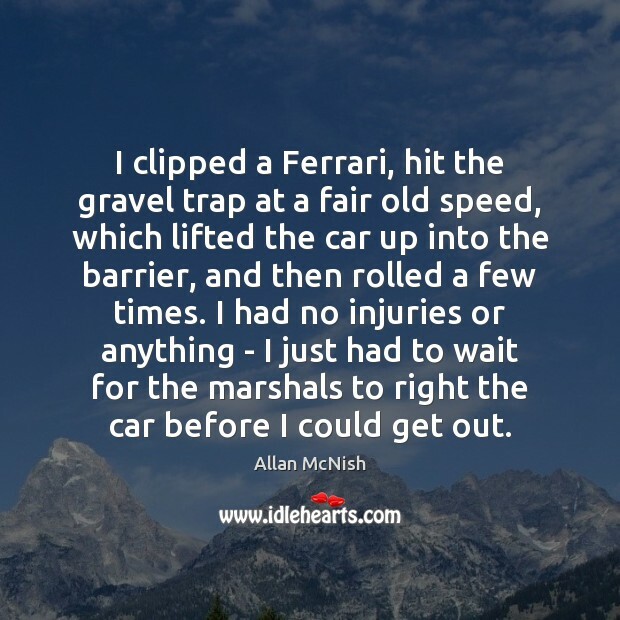 I had no injuries or anything - I just had to wait for the marshals to right the car before I could get out. Especially with sports cars, when you have got so many cars on the track with various degrees of competitiveness, then something will happen. 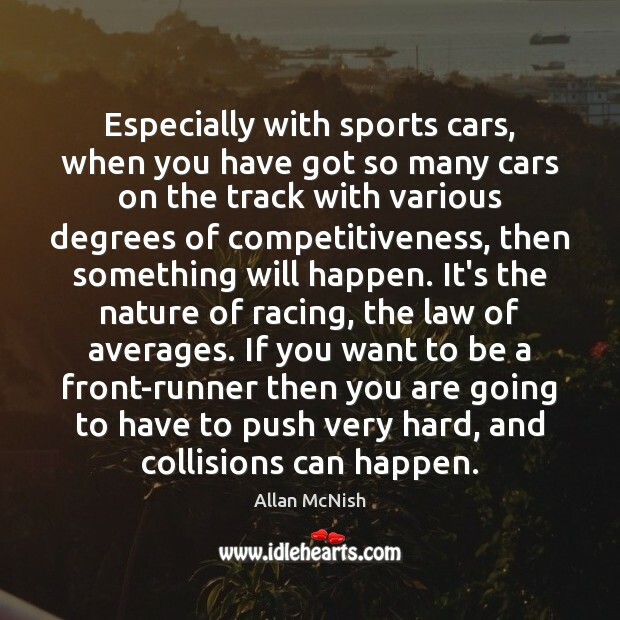 It's the nature of racing, the law of averages. If you want to be a front-runner then you are going to have to push very hard, and collisions can happen. 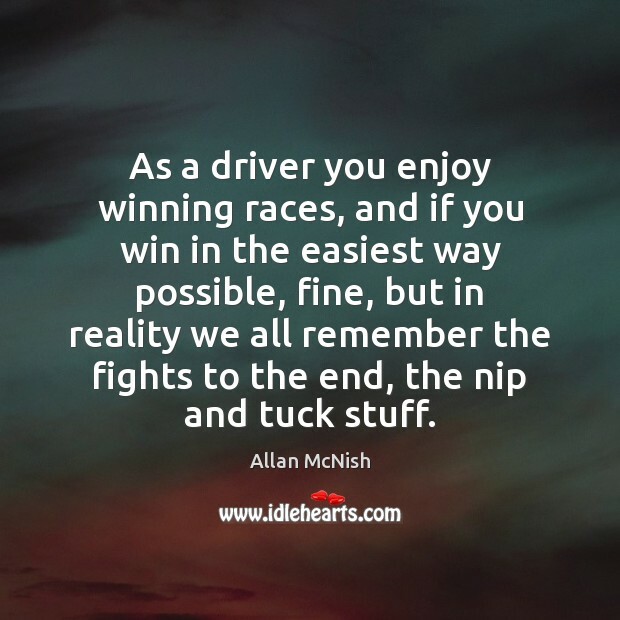 As a driver you enjoy winning races, and if you win in the easiest way possible, fine, but in reality we all remember the fights to the end, the nip and tuck stuff. 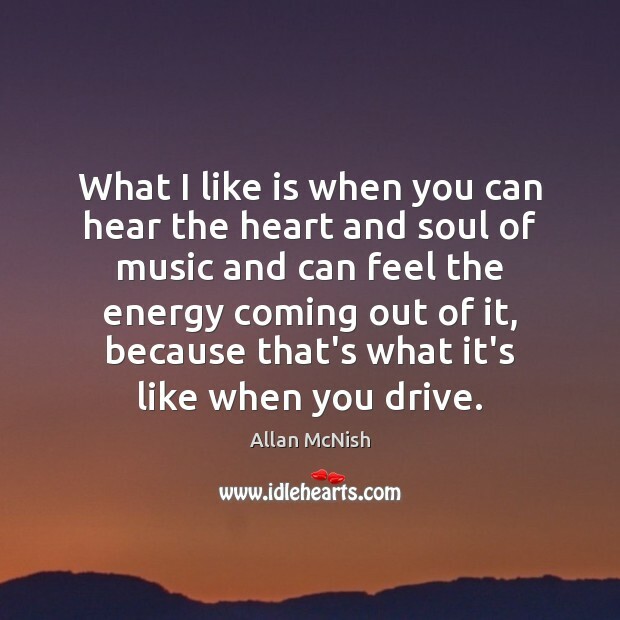 What I like is when you can hear the heart and soul of music and can feel the energy coming out of it, because that's what it's like when you drive. 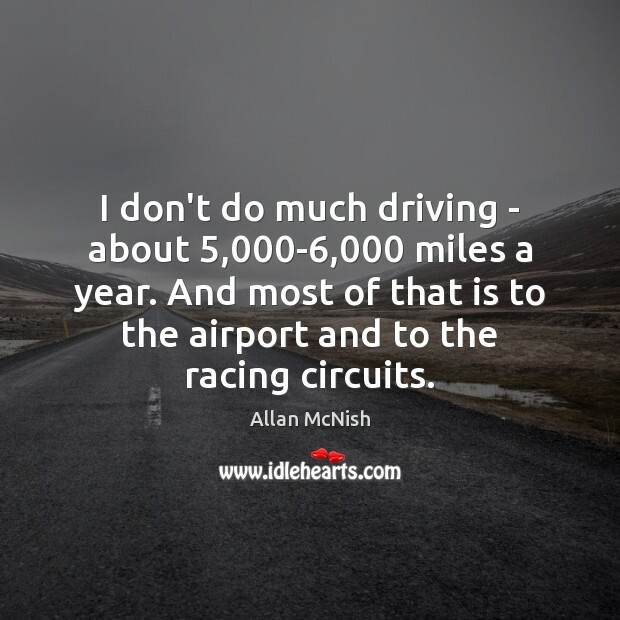 I don't do much driving - about 5,000-6,000 miles a year. And most of that is to the airport and to the racing circuits. 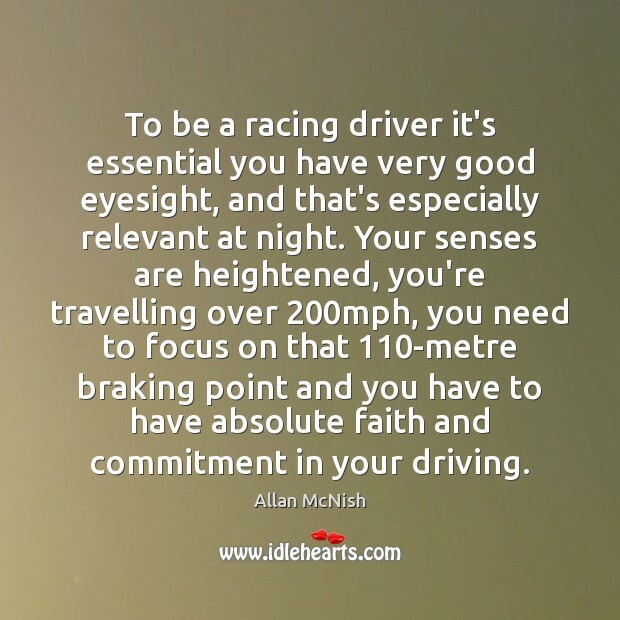 To be a racing driver it's essential you have very good eyesight, and that's especially relevant at night. Your senses are heightened, you're travelling over 200mph, you need to focus on that 110-metre braking point and you have to have absolute faith and commitment in your driving. I think that texting and driving is a 100 percent no-go. 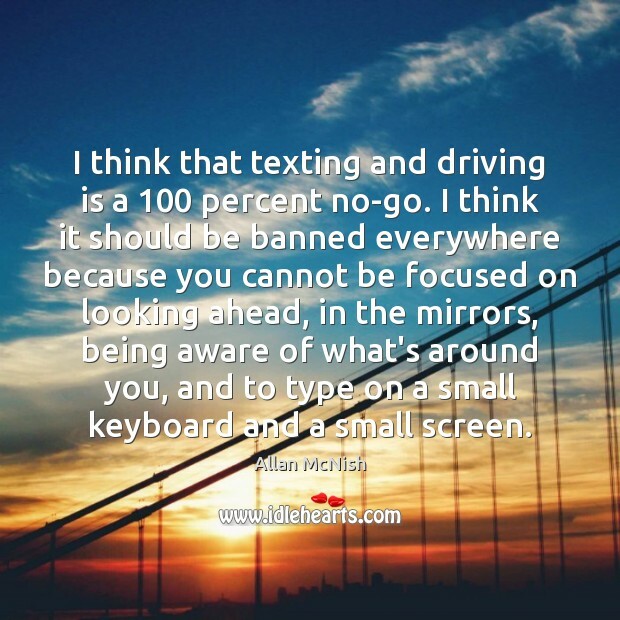 I think it should be banned everywhere because you cannot be focused on looking ahead, in the mirrors, being aware of what's around you, and to type on a small keyboard and a small screen. 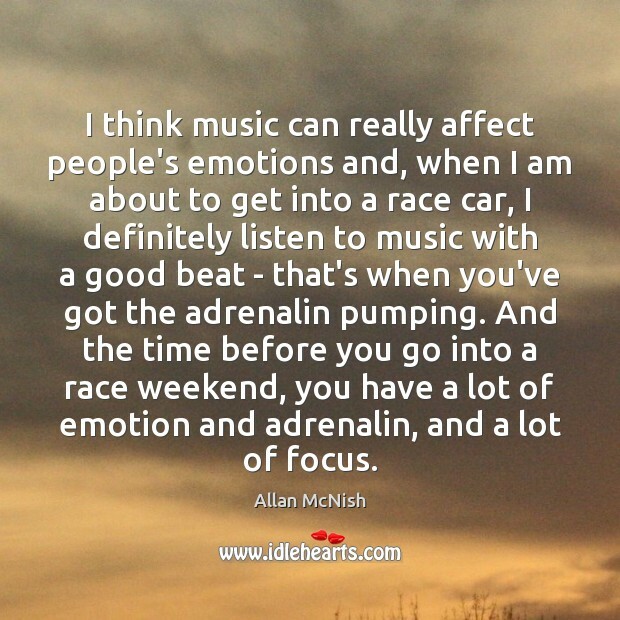 I think music can really affect people's emotions and, when I am about to get into a race car, I definitely listen to music with a good beat - that's when you've got the adrenalin pumping. And the time before you go into a race weekend, you have a lot of emotion and adrenalin, and a lot of focus. I try to get away from the pits as quickly as I can. 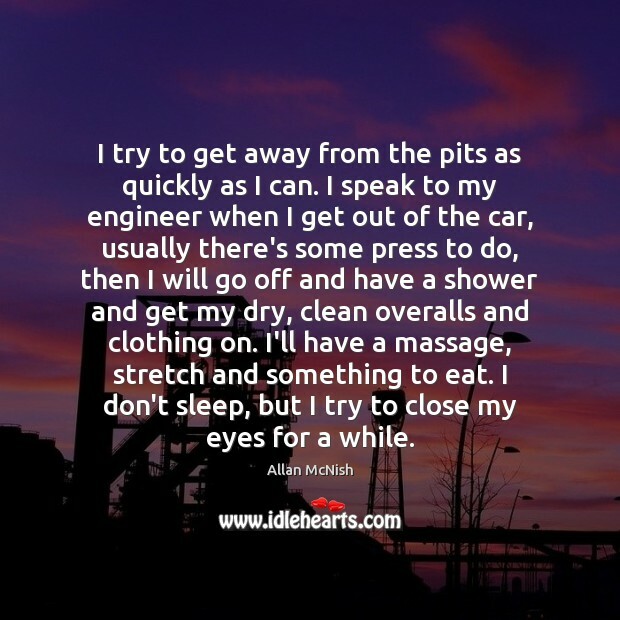 I speak to my engineer when I get out of the car, usually there's some press to do, then I will go off and have a shower and get my dry, clean overalls and clothing on. I'll have a massage, stretch and something to eat. I don't sleep, but I try to close my eyes for a while. 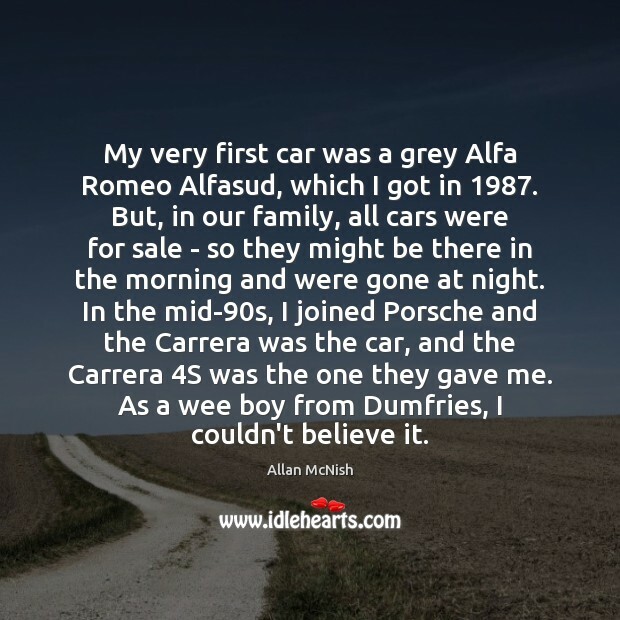 My very first car was a grey Alfa Romeo Alfasud, which I got in 1987. But, in our family, all cars were for sale - so they might be there in the morning and were gone at night. In the mid-90s, I joined Porsche and the Carrera was the car, and the Carrera 4S was the one they gave me. As a wee boy from Dumfries, I couldn't believe it. 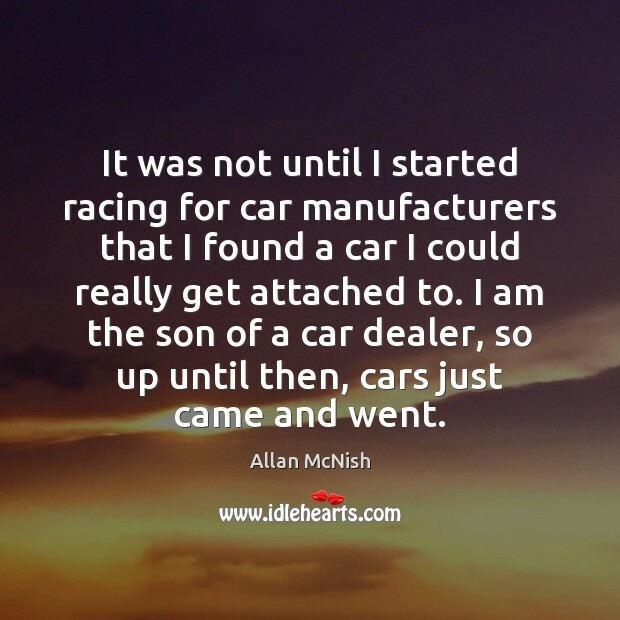 It was not until I started racing for car manufacturers that I found a car I could really get attached to. I am the son of a car dealer, so up until then, cars just came and went. 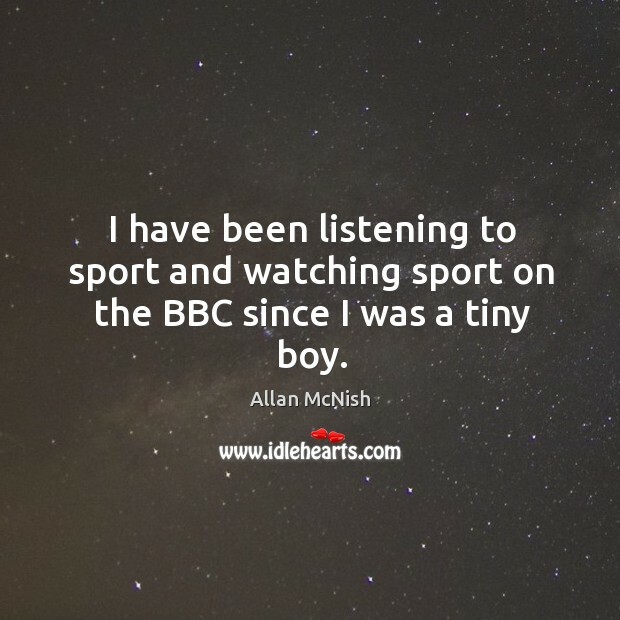 I have been listening to sport and watching sport on the BBC since I was a tiny boy. 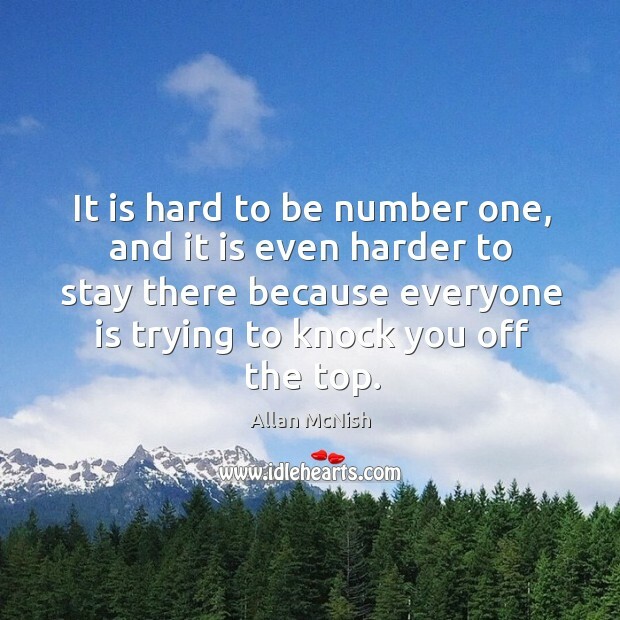 It is hard to be number one, and it is even harder to stay there because everyone is trying to knock you off the top. 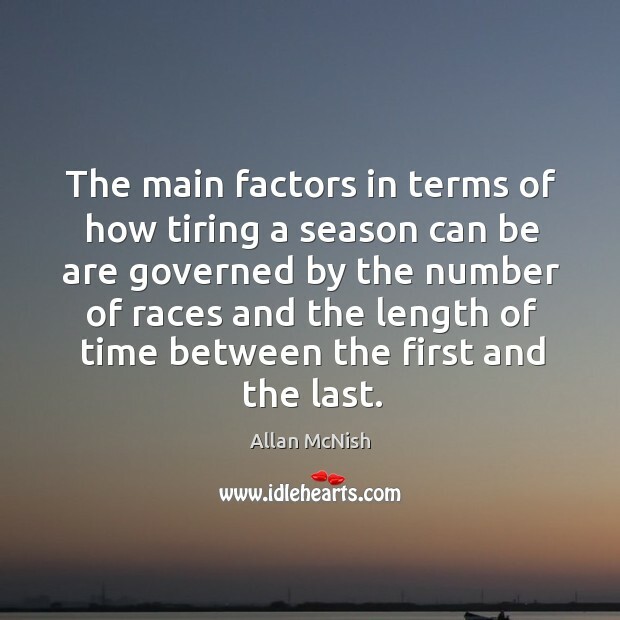 The main factors in terms of how tiring a season can be are governed by the number of races and the length of time between the first and the last.